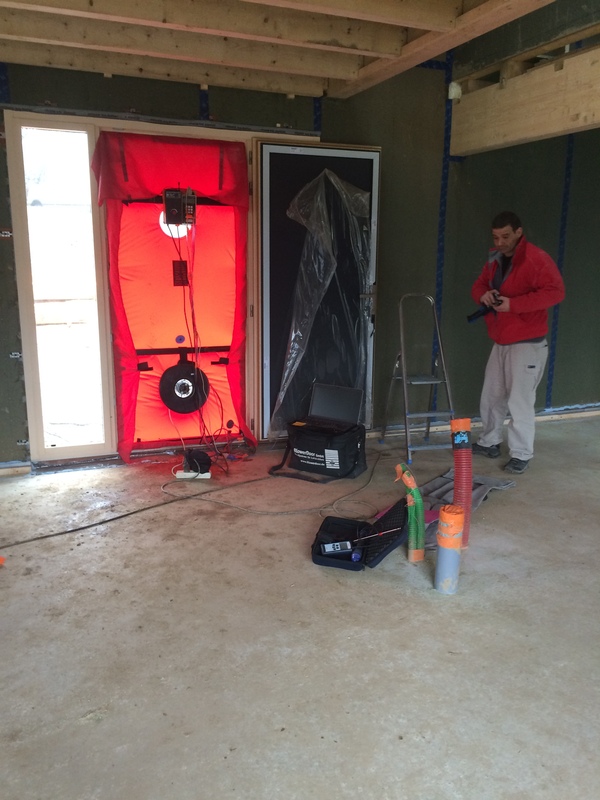 At the end of February we had an air tightness test. Achieving a good level of air tightness is important for the energy efficiency of the building. 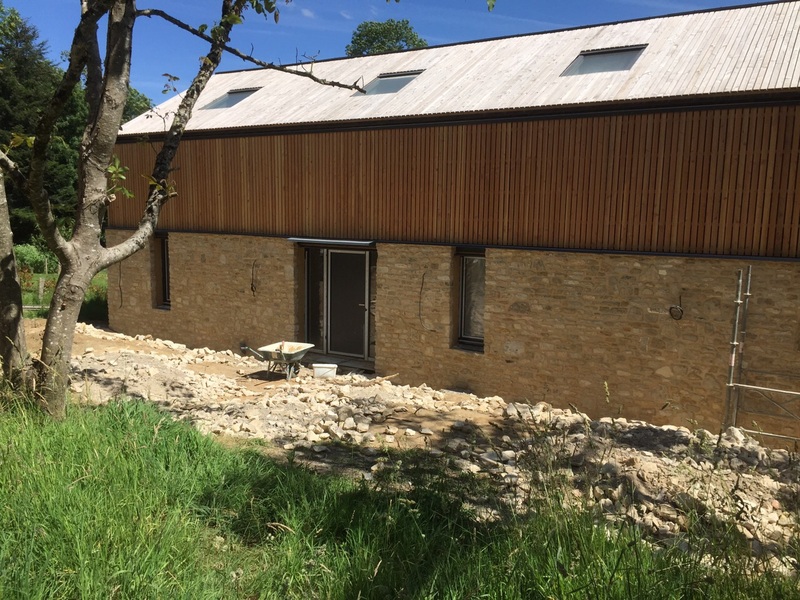 The benefits of improved insulation and more energy efficient heating systems such as the ones was have installed would be lost if warm air leaked out of the building and cold air leaked in. Too much air leakage can lead to unnecessary heat loss and possible discomfort, which anyone in the house would feel as draughts. To carry out this test, the company arrived and fitted a temporary airtight screen to our front door. They then mounted a big fan to the screen which blew air in to and out of our house so that they could create a pressure difference between the inside and outside of 50 Pascals. To pass an air leakage test in England and Wales, a home must achieve an air permeability result of 10 m3/(h.m2). 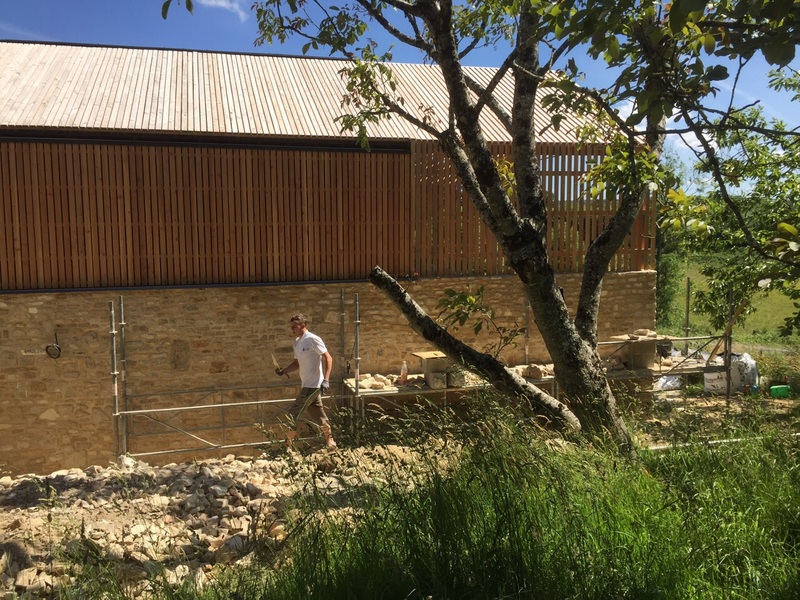 By the end of our build we will hope to achieve 0.6 m3/(h.m2) which is far in excess of UK building regulations and is almost Passivhaus standard which is 0.2 m3/(h.m2.). At the end of this interim test we would not expect to achieve our desired result, but doing a test at this stage would allow us to seal up any major leakages through the construction. It was all quite exciting on the day and as we waited for the results. The results came in and….we achieved 0.8 m3/(h.m2). 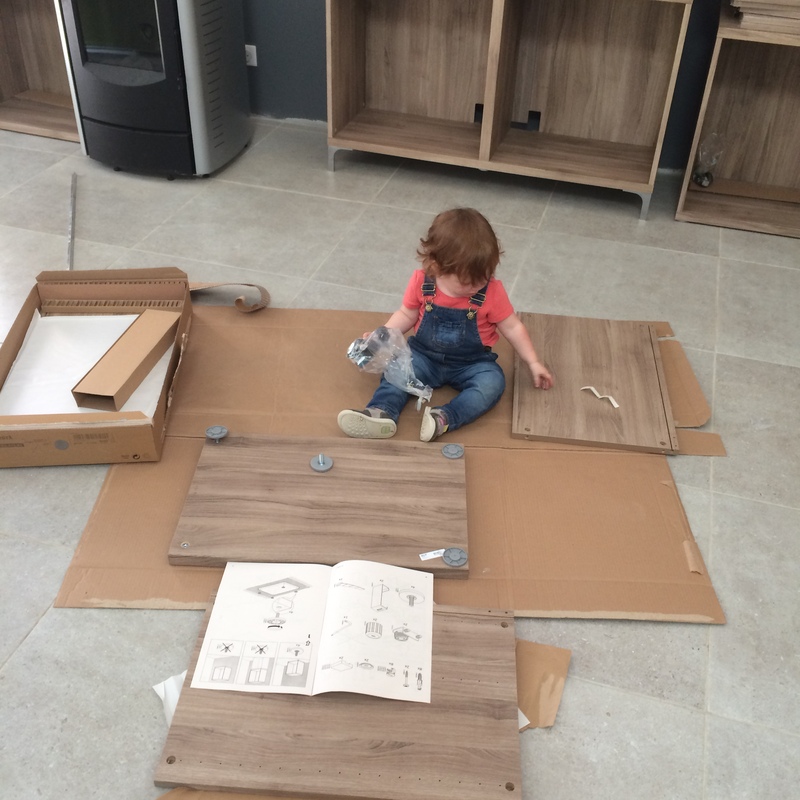 I think this far exceeded what Tom expected to achieve at this stage, so he was very pleased that when they ran the test again they attained the same results! It’s all yours, The Hollies…. Categories: Construction, House Construction, Interiors | Tags: Air tightness | Permalink.